My work with hands has changed radically in the last few months due to a very subtle shift in perspective. This is the realisation that life purpose is not something to be chased, but rather something to be inhabited, or simply switched on, the way one turns up the dimmer knob of an internal light. Your life purpose is a feeling state not an action. A way to shine knowing that the source is within not without. A being, not a doing. A goal is something quite different – a stick thrown ahead and achievable. Whereas life purpose is part of who you are. Something you need to be wagging rather than chasing. If you are not sure what your purpose is, and how to wag it rather than chase it, your fingerprints can help you understand what governs your tail wagging more than anything else I’ve ever come across. You can get a free report on this here. 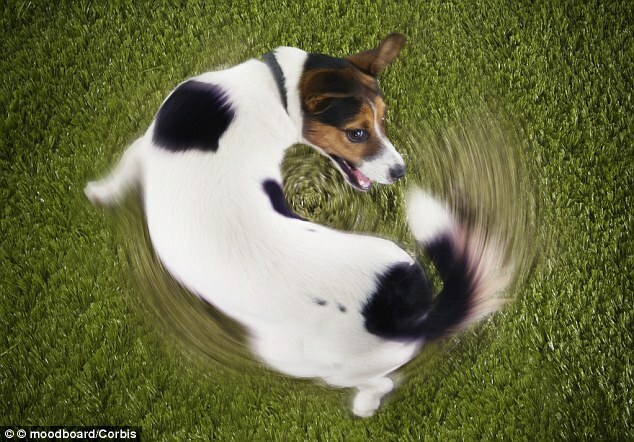 Here’s a video of dogs chasing their own tails. Perhaps, in their dreams, dogs have a TV channel they can tune into where they chortle at us just as much going round and round in a similar manner.